Bringing you a quality entertainment filled evening with comedy, poetry, live music and more - Love Lounge is back for the Easter special. 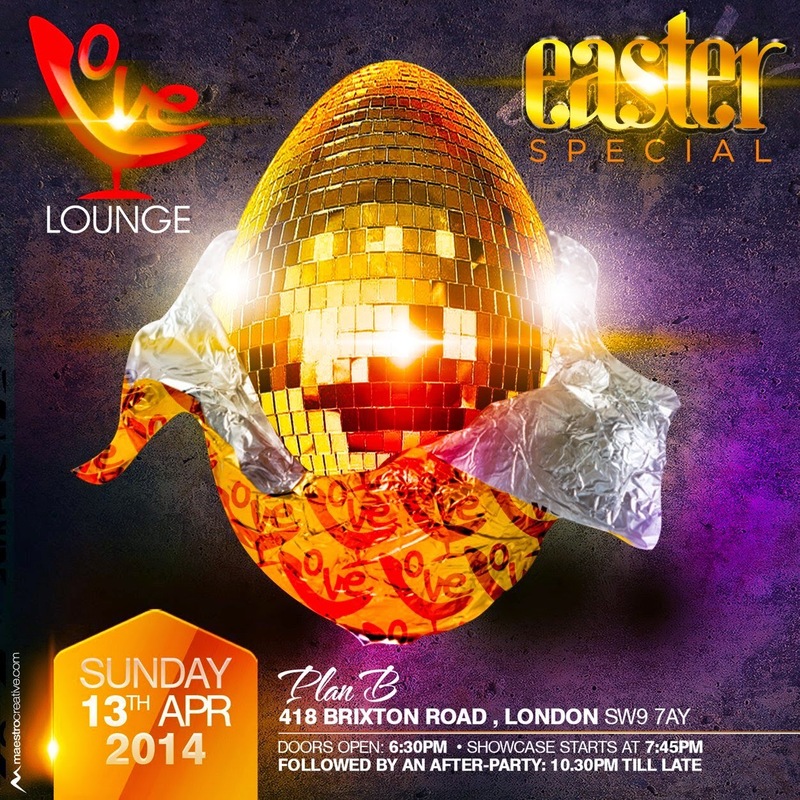 All roads will lead to London's Plan B in Brixton for this jam packed eventful night all hosted by Love Lounge resident host and comedian - Mo the Comedian. For this Easter special, there'll be performances from guitarist JP Cooper will woo the crowd with his melodic tunes, the chart topping British R&B group - Big Brovas, soulful singer-songwriter Lola Godheld and G.R.E.E.D.s (Generating Rhymes to Engage the EnligteneD Soul), a creative wordsmith and performance poet; who will all take to the stage and put on outstanding show. Love Lounge events, home for entertainment, live music and comedy, is committed to offering quality showcases that are uplifting, inspiring and entertaining. It is a platform for signed and unsigned artists to have their artistry shown to a wider audience, and a place where the audience can kick back and experience a great night of musical entertainment with the opportunity to network. Watch the highlights from the Valentines Special, to see what you're in for!